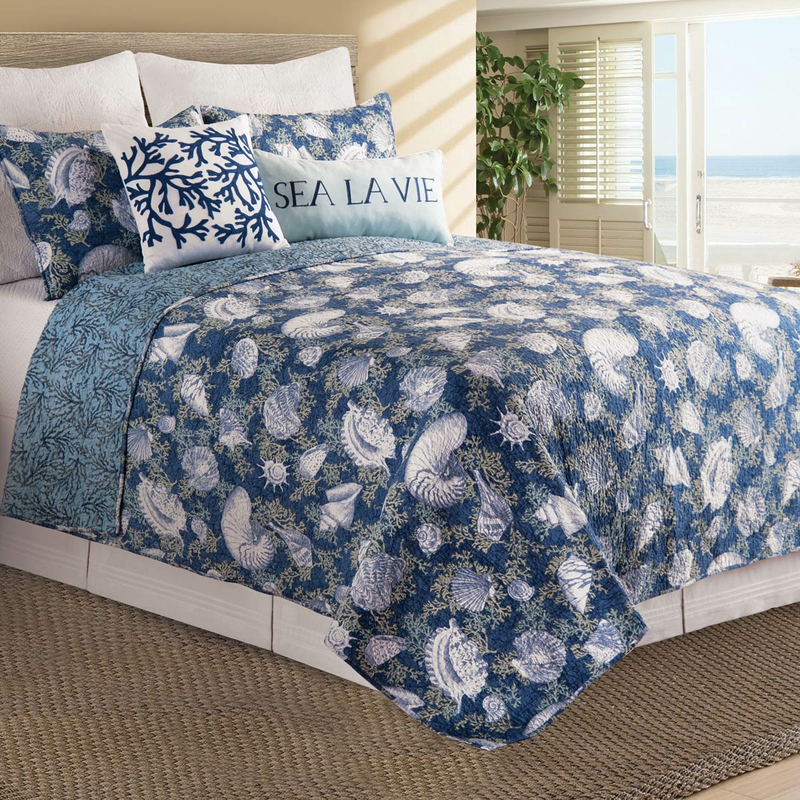 Create a seaside look in your bedroom with the elegant shell and coral pattern on navy backed by an intricate coral design on the Deep Blue Sea Quilt Bed Set - King. These coastal bedding sets ship from the manufacturer. Allow 1 to 2 weeks. Cannot express ship. For many more offerings, we ask you to take the time to explore our full variety of coastal bed sets at Bella Coastal Decor today.